PRODUCT: 1/8 x 0.062-0.125 in. 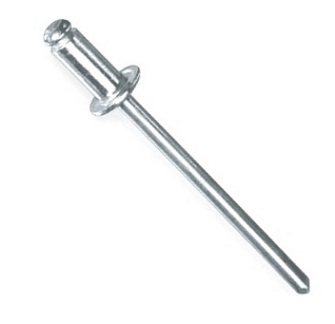 Grip, Aluminum Body with Plated Steel Mandrel, Button head (Dome/Open), Blind Pop Rivets. 10,000/Box. Price/Box.